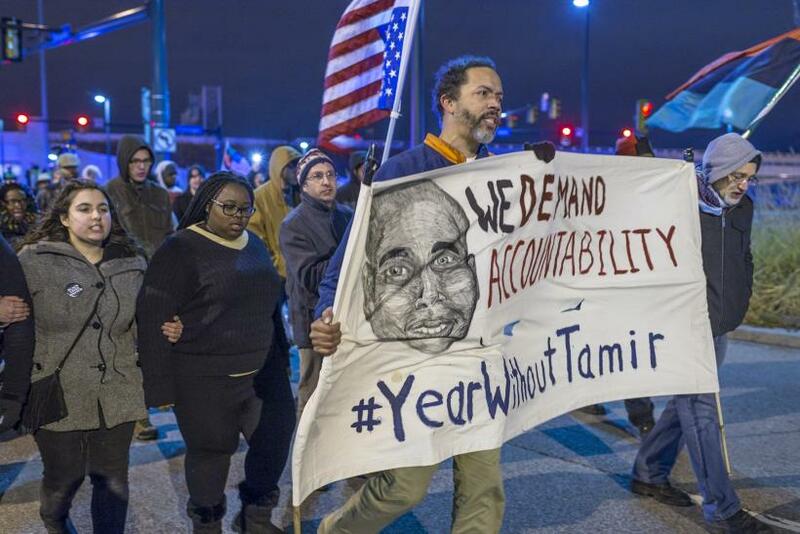 Demonstrators in Cleveland Friday demanded the resignation of the prosecutor involved in the case of Tamir Rice, a 12-year-old black boy who was killed by a white police officer while holding a pellet gun. 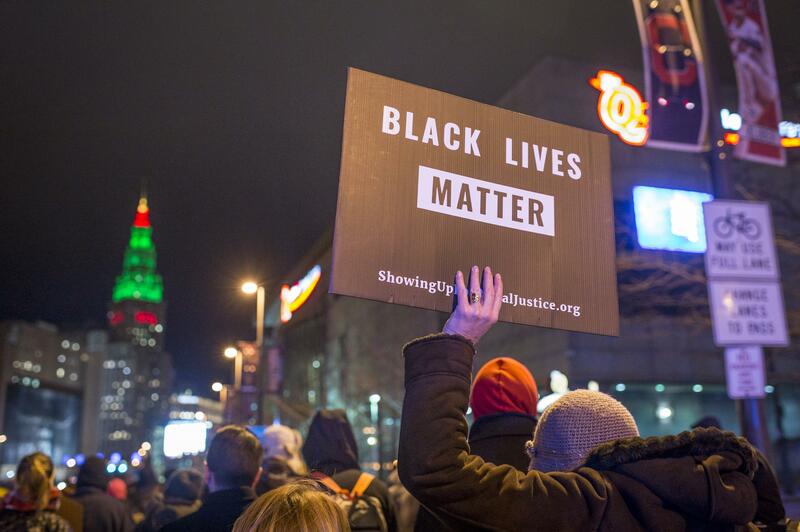 A grand jury this week declined to indict the rookie officer, stoking fresh frustrations among family members and activists over the year-old shooting. More than 100 people marched to the home of Cuyahoga County Prosecutor Tim McGinty in a peaceful protest, the Associated Press reported Friday. Police officers accompanied the marchers and stood in McGinty’s driveway, but did not intervene. A representative of McGinty declined to comment, AP reported. Dozens of marchers sprawled out on the sidewalk outside McGinty’s house for four minutes, the amount of time they say it took medical responders to reach Rice after he was gunned down near a Cleveland recreation center in November 2014. McGinty said Monday it was “indisputable” that Rice was drawing a pistol from his waistband when he was shot by Cleveland police officer Timothy Loehmann . But the prosecutor said there was no way for Loehmann or his training partner Frank Garmback to know the gun fired only nonlethal plastic pellets, not real bullets. McGinty called it “a perfect storm of human error” and said no crime was committed. A Guardian analysis this week found the vast majority of U.S. police officers who killed someone in 2015 were cleared of wrongdoing by local prosecutors and were unlikely to face repercussions. A survey of more than 200 police-involved homicide cases found that district attorneys declined to prosecute cases between 1 percent and 10 percent of the time when civilians killed someone, compared with their declining to prosecute police officers in homicide cases more than 50 percent of the time, the Guardian reported Thursday. Two-thirds of the 18 police-involved killing cases prosecuted in 2015 were filed by the prosecutors themselves, in lieu of a grand jury.